What could the internet of things become by 2030? Right now,the internet of things is more like a series of warring tribes than a truly connected world. 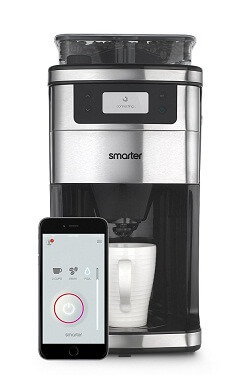 There’s still no standard way for our new smart gadgets to talk to each other, so your Samsung smart fridge won’t talk to your Apple HomeKit devices. But it won’t be long before the guys who make the smart tech start getting all their tech talking to each other. So we thought we’d take a look into our crystal ball to see how a proper internet of things will change our lives. Welcome to the year 2030. Our alarm clock wakes us up ten minutes before we’ve told it to by automatically opening the curtains in the whole house. It’s got us up early because it’s a decedent of the Withings Aura sleep system (pictured above). That means it’s been monitoring our REM sleep and body movements to work out when we’re most ready to wake up so we feel more rested. Despite it being early February, the house is warm. That’s because the central heating, which was inspired by the original Nest Learning Thermostat, knows our weekday routine and warmed itself up so it’s not cold when we get up. We get out of bed and head to the kitchen where a cup of freshly-ground coffee is waiting. The alarm clock told our Smarter Coffee machine (pictured right) that it was waking us up early so it could get our morning brew ready. We grab a bowl of cereal and as we put the milk back in the fridge, our smartwatch vibrates. It’s the fridge telling us we’re almost out of milk and asking if we want to put it on the shopping list. We use voice control to say ‘yes’ and then tell the fridge to order everything on the shopping list. 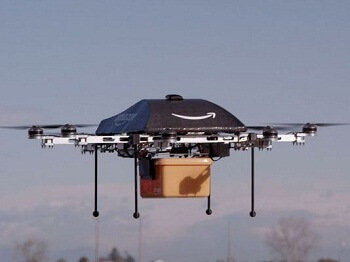 We instantly get a confirmation email telling us a drone will deliver the shopping when we get home from work. Before taking a shower, we jump on the scales. Information like our weight, BMI, blood oxygen and body fat are all automatically sent to our phone, which has already been given details of how we slept by our alarm clock. Our phone then uses all that information to create a personalised fitness routine for the day and finds time in our calendar to squeeze it in. We head out of the house for work. As we step through the door, everything inside switches off automatically and the security system turns on. We don’t even need to lock the door behind us as the electronic locks can only be opened by a tiny chip implanted in our hand. 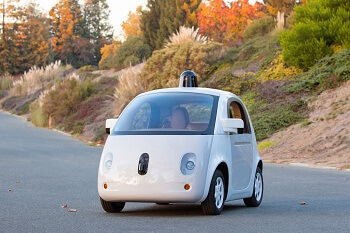 One of Google’s self-driving cars (pictured) is waiting for us. No one’s bought a new car since Google and Uber teamed up to have a global fleet of driverless cars on hand to order when you need them. And now that our phone can automatically book one of the cars based on our calendar and location, we never have to worry about how we’re getting anywhere. The commute to work is much quicker in self-driving cars. They never have an accident and never cause traffic jams. And as we sit here, the on-board screens bring up news and sports that we’re interested in (they are Google cars so they know what we like to read). The only annoying thing is that as we move along, the adverts on pages keep changing to show the businesses we’re passing. The Arqiva network, which is a public internet of things, is great for letting councils know when bins are full, but it’s made hyper-local advertising a nightmare. When we get to the office, the implant that controls our home security tells the gates to open. It also gives us access to the printers at work. It’s much easier than the old smart cards as you never leave the implant at home. As we get to our desk, our computer has just finished starting up. It powered on as we walked through the gate and now that we’re next to it, it’s automatically unlocked too. Throughout the day our smartwatch reminds us to get up and move about if we’ve been sat at our desk too long. Our chair keeps vibrating to tell us to sit upright. And everything we do is logged in our calendar to make it easy to go back and see past work and make sure we’re staying healthy. But the way we work is still the same. At the end of the day there’s another driverless car waiting to take us home. But this evening, instead of reading the latest news, we pull out our smartphone and start chatting to its built in personal assistant about the stuff we need to get done. She tells us that the washing machine says it’s full, so we tell her to switch it on. We also ask her to tell the supermarket drone that we’re on our way home so it can make its delivery now. And she recommends a few recipes for dinner based on what the fridge says is left in it. We pick what we want for dinner so the oven is preheated by the time we get home. As we walk through the front door, which has unlocked automatically, all we’ve got to do is put away the shopping, hang out the washing and quickly throw some ingredients together before chucking them in the oven. That gives us much more time for a social life in the evenings. We send out a quick message on our social networks inviting our friends over for a few drinks. And as dinner’s cooking, we start to get ready. We ask our phone’s personal assistant to create a playlist of chill-out music and tell her to create a cool atmosphere with the lights, at which point they dim and change colour. Then when dinner’s cooked, she tells us. After dinner people start to arrive. So we tell our phone to play the new playlist on the sound system throughout the house. After everyone leaves, cleaning up is easy. We just throw everything into the recycling bin and tell the robot vacuum cleaner to go round the house while we sleep. After a day in the truly connected world of 2030, coming back to the half-connected world of 2015 will be hard. But it’s good to know that it won’t be too long before connected gadgets are making life much easier. Tell us what you want to see from the internet of things in the comments below. How can I turn my home into a Smart Home?